Saving space is paramount in retail. Back room storage and Online Sales pick up are ideal applications for compact storage. High density pharmacy storage can help organize your bulk storage areas and save space for other healthcare applications. We offer industrial shelving systems for storing items of any type. From small parts to heavy equipment, we provide a variety of shelving designed specifically for your needs. 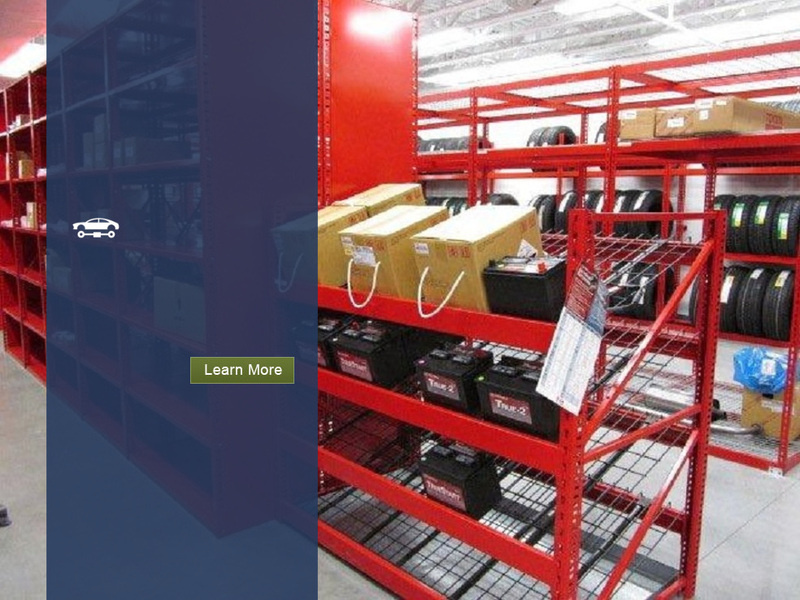 We offer custom designed storage solutions for small parts, large parts, tires and more. We are an expert solution provider for compact high density rolling shelving systems. We design, sell, install and relocate storage systems. We partner with Montel providing state of the art design and engineering of compact high density rolling shelving systems. The more you look the more you will find Montel is the safest, smoothest rolling and longest lasting product available. Why settle for less? Montel and StorMor bring you the best product with premier project management to ensure on-time, on-budget solutions!